We can, says psychologist and journalist Maria Konnikova, and in Mastermind she shows us how. Beginning with the “brain attic”–Holmes’s metaphor for how we store information and organize knowledge–Konnikova unpacks the mental strategies that lead to clearer thinking and deeper insights. 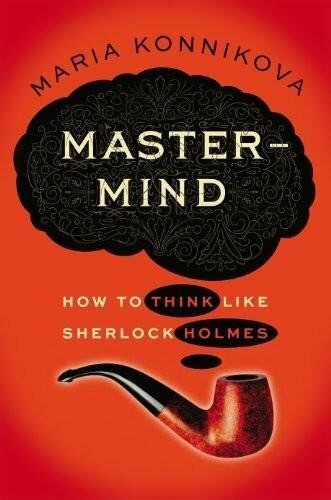 Drawing on twenty-first-century neuroscience and psychology, Mastermind explores Holmes’s unique methods of ever-present mindfulness, astute observation, and logical deduction. In doing so, it shows how each of us, with some self-awareness and a little practice, can employ these same methods to sharpen our perceptions, solve difficult problems, and enhance our creative powers. For Holmes aficionados and casual readers alike, Konnikova reveals how the world’s most keen-eyed detective can serve as an unparalleled guide to upgrading the mind. Feel free to post your Mastermind: How to Think Like Sherlock Holmes-P2P torrent, subtitles, samples, free download, quality, NFO, rapidshare, depositfiles, uploaded.net, rapidgator, filefactory, netload, crack, serial, keygen, requirements or whatever-related comments here. Don't be rude (permban), use only English, don't go offtopic and read FAQ before asking a question. Owners of this website aren't responsible for content of comments.